Pay By Credit Card In Your Mobile Wallet Wirelessly And Easy Flat Vector Neon Illustration For Web Banner. Illustration Of Wireless Mobile Payment By Phone Connected Credit Card Via POS Terminal. Lizenzfrei Nutzbare Vektorgrafiken, Clip Arts, Illustrationen. Image 109776900. 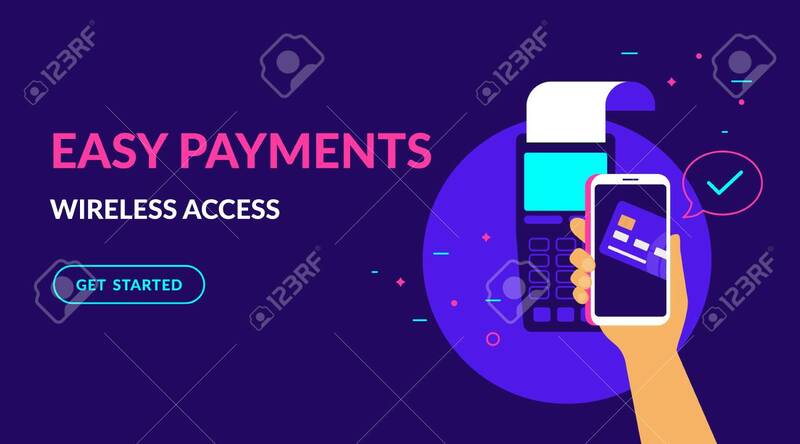 Standard-Bild - Pay by credit card in your mobile wallet wirelessly and easy flat vector neon illustration for web banner. Illustration of wireless mobile payment by phone connected credit card via POS terminal.